the name of the LORD. - Job 1 C. & 21 Vs.
Snatched from his heavenly Father's breast. Thine she is, forever thine. unto me, and forbid them not, for such is the kingdom of Heaven. 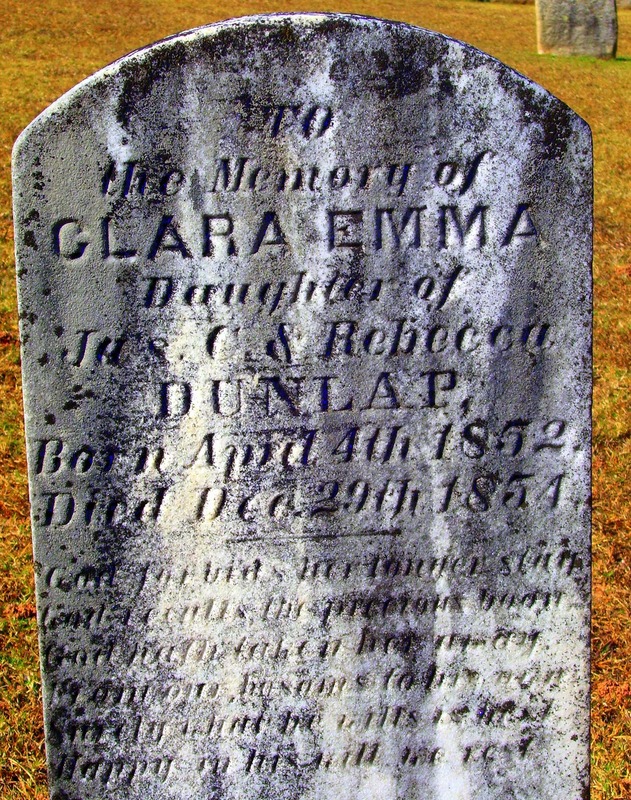 It seems the sentiment on each stone was tenderly placed, slightly different from the one before to mark each child as an individual. Can you picture it? 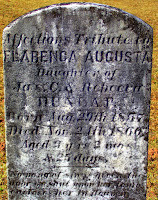 All the deaths and burials took place in winter months, with one in early March still likely bearing cold temperatures. An entire family dressed in black, huddled together against the weather around a tiny grave. 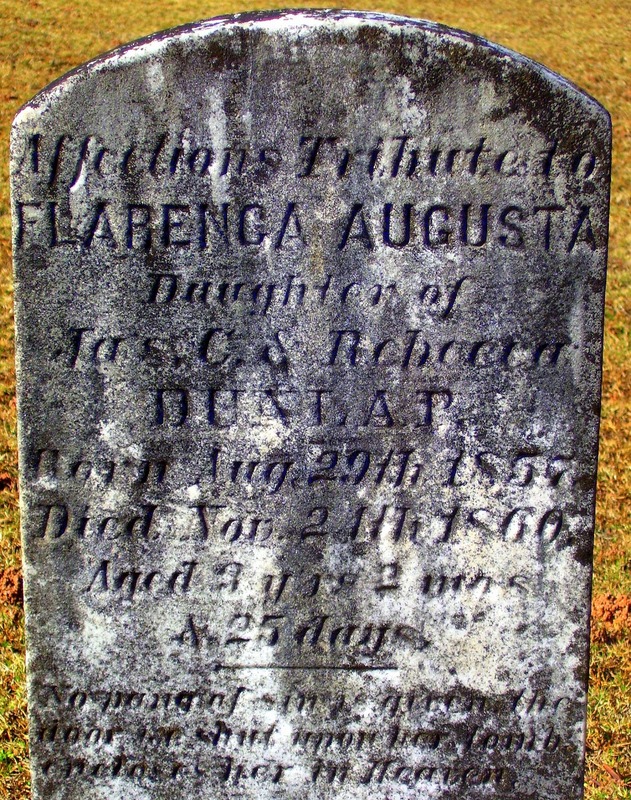 And in the year of 1863, only a couple weeks separated two of the burials. 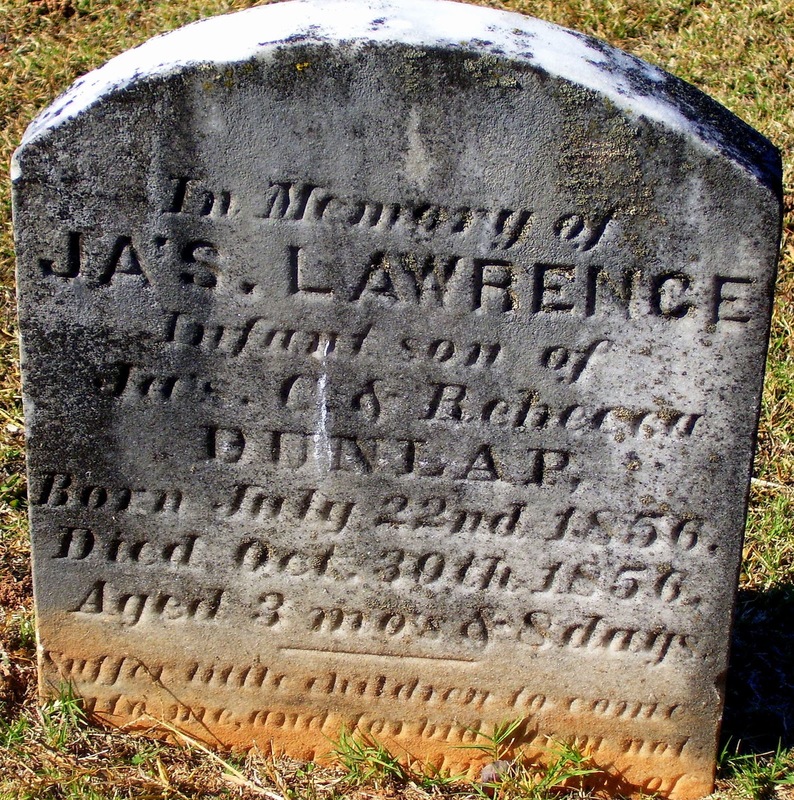 James C. Dunlap, father to these children, was born about 1816 in South Carolina. 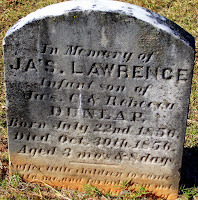 He lived well into his eighties, and before he died prepared a history of the Dunlap family. 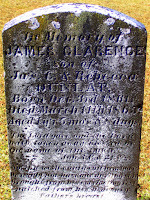 * In it is stated that James and Rebecca had fourteen children. 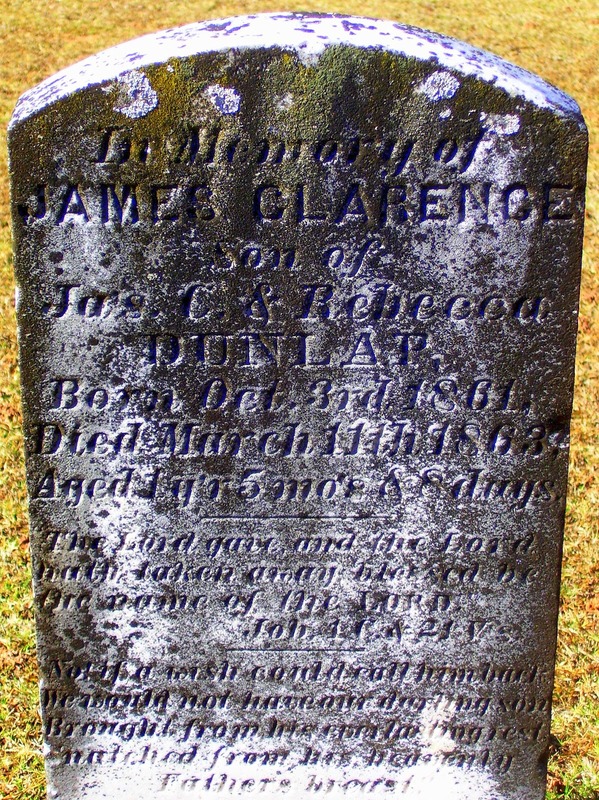 Eight lived to adulthood and six died young -- three boys and three girls. Five of them are listed above. Incredibly heartrending, Stephanie! 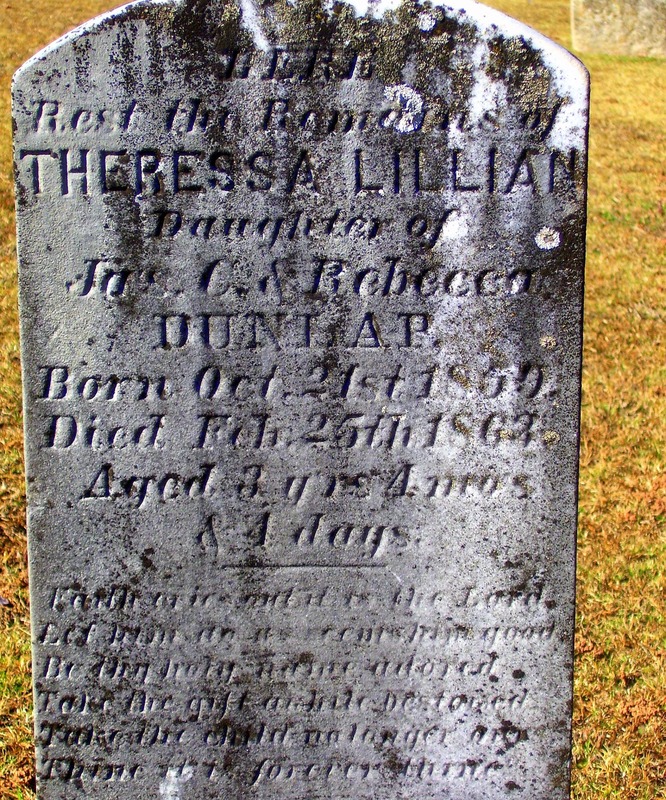 Recently at Springwood Cemetery in Greenville, South Carolina, we came upon a single marker for the graves of five sisters who fell like dominoes, a few years apart. 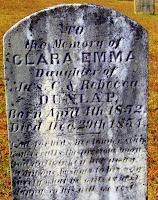 They were much older than the Dunlap children. I always stand silent for awhile, trying to fathom the grief of the parents. Having been spared this particular tragedy thus far, I cannot. Thank you for the great work you do here. Thanks, Jenny! 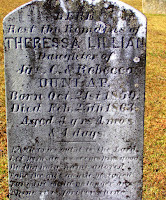 -- I'm always touched by infant graves. These were unique to me because of the verse attached to each one. Each one was different, treating each child as an individual. I felt privileged to visit them.